Spending big and benefiting from buckets of outside money, Democrat Janet Mills outspent her rivals on her way to the Blaine House. Final campaign finance reports filed with the Maine Ethics Commission show that total spending in the four-way race for governor was $18.1 million, including $7 million by the candidates and $11.1 million by outside groups. Mills raked in the most campaign contributions, receiving $3 million, followed by Republican Shawn Moody with $1.8 million, independent Terry Hayes, a clean election candidate, at $1.4 million and independent Alan Caron at $789,000. Most of the spending in the governor’s race – more than $15 million – went to campaign advertising, mostly on network and cable television. The next-largest amount – $1.6 million – was spent on campaign consultants and staff. Hayes spent the most on consultants and staff – $482,000 compared with $445,000 for Moody and $437,000 for Mills. Caron, who dropped out of the race just before the election, spent about $250,000 on consultants and staff. The biggest beneficiary of the spending was Chicago-based AL Media, a media production and strategy company that also buys air time for candidates. Mills paid the company just over $1.8 million, largely for television and radio advertising purchases around Maine. The company now features its work for Mills prominently on its website. Taking the second-largest haul from the Maine governor’s race was the Washington-D.C.-based Canal Media Partners, which was paid $607,000 to do similar work for Hayes’ publicly financed campaign. She was the only Maine Clean Election Act candidate in the race, finishing a distant third. 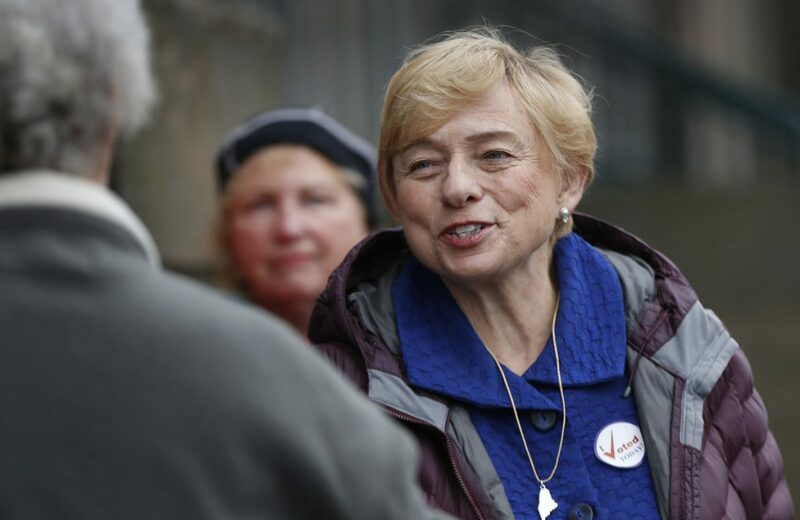 The third top beneficiary of the Maine race also was an out-of-state company, hired by Caron. Before dropping out in late October, the independent spent $225,000 on the services of Denver-based Bluewest Media. Mills spent $172,000 on polling with the Global Strategy Group of New York City, the fourth-largest recipient of campaign cash. Moody’s campaign bought media advertising through campaign consultant Brent Littlefield, but also directly from television and radio stations, shelling out $141,000 to WCSH-TV. Although Mills outspent Moody on advertising, he spent nearly four times as much on consultants, paying $445,000 to firms or individuals. That includes about $250,000 with Littlefield’s firm, which handled everything from media buys to phone banks. Moody spent another $134,000 on Waterville-based consultant Mike Hersey, making him the best-paid consultant on the campaign trail in 2018. Kyle Bailey of Gorham, a consultant who worked for Hayes’ campaign, appears to have received the second most, just over $103,000. In total, Mills spent $3 million in campaign money on her successful race for governor, receiving 50 percent of the vote. Moody was the top donor to his own campaign, pumping about $503,000 of his own money into the unsuccessful effort to be the Republican replacement for Gov. Paul LePage. Outside groups, including Democratic national super PACs that spent millions nationwide, purchased $1.9 million in advertising to support Mills and $5.8 million in ads opposing Moody. Other PACs supporting Mills included A Better Maine, backed by the Democratic Governors Association, and Priorities USA Action, backed by multimillion-dollar donations from Donald Sussman and $5 million from George Soros this year alone, according to the Federal Election Commission. Moody spent $1.8 million in his campaign. Outside groups, including political party organizations and PACs, spent $716,339 to support him and $2.2 million in ads opposing Mills. If the primary election is included, total spending on the governor’s race jumps to $10.7 million. There were 22 primary candidates in all, including Mills and Moody. • $532,042 in contributions from the candidates to themselves.